From its beginnings, PortAventura has worked to encourage mutually beneficial relationships with the different stakeholders in the environment that surrounds us. By integrating responsible and sustainable management into our business strategy, we have become one of the principal and most visited tourist destinations in Europe, generating a significant direct and indirect impact on its local environment and the community. PortAventura World is a very active economic, social and environmental player that integrates responsible and sustainable management based on our corporate values: safety, commitment to the customer, quality, excellence, social responsibility, respect for the environment, dedication, teamwork, cohesion and family fun. A commitment from everyone and for everyone. Discover our social, environmental and economic involvement with the environment around us. Since 2008, PortAventura has adhered to the United Nations Global Compact, which is an ethical commitment undertaken by organisations in all countries to integrate into their operations and strategy its 10 Principles on Human Rights, Labour, Environment and Anti-Corruption. PortAventura World is committed to the Global Code of Ethics for Tourism of the World Tourism Organisation (UNWTO) and the Principles of the UN Global Compact. Both organisations advocate responsible tourism that contributes to the achievement of the Sustainable Development Goals (SDGs) in order to improve the lives of people and protect the planet. The UN Global Compact’s Ten Principles are derived from United Nations declarations. These principles are universally accepted standards for human rights, labour standards, environmental impact, and anti-corruption practices. And make sure that they are not complicit in human rights abuses. This certificate rewards commitment to quality and specialised attention to families and also takes into consideration the added values of comfort and tranquillity for guests to feel at home and fully enjoy the first-rate entertainment and leisure activities on offer. PortAventura Park has adapted its 6 theme areas to make it easier for everyone to access the fun, including disabled visitors. From identifying allergens present in our ingredients to the correct handling of these in preparing our dishes, we adapt to different needs so that the whole family can safely enjoy eating in our restaurants. 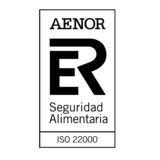 The ISO 22000 standard is an international standard on food safety developed by the International Organization for Standardization. It encompasses the entire supply chain, from the production of raw materials, to customer service. It aims to protect consumers and reinforce their confidence. 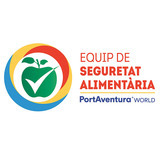 At PortAventura World, we have created an Interdisciplinary Food Safety Team, to address the safety of our products from different perspectives and to establish common objectives that we embody in our Food Safety Policy. PortAventura Wolrd has been awarded ISO 22000 Certification for Hotel El Paso and Hotel PortAventura, with the objective of progressively extending this certification to the rest of the hotels.